Product prices and availability are accurate as of 2019-04-18 07:58:25 EDT and are subject to change. Any price and availability information displayed on http://www.amazon.com/ at the time of purchase will apply to the purchase of this product. 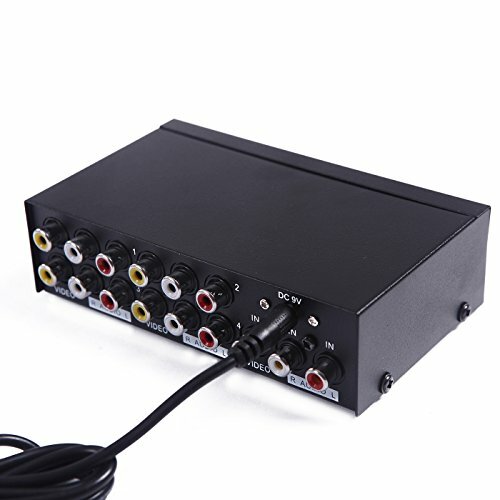 This 1 In 4 Out RCA AV Splitter adopts high quality components and advanced circuit design technology. 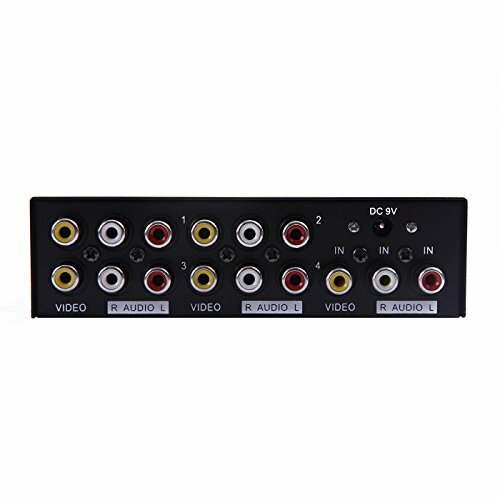 It allows 4 RCA outputs (HDTV, LCDs, projectors, etc) to share 1 RCA input (DVD, STB-Set Top Box, etc)! 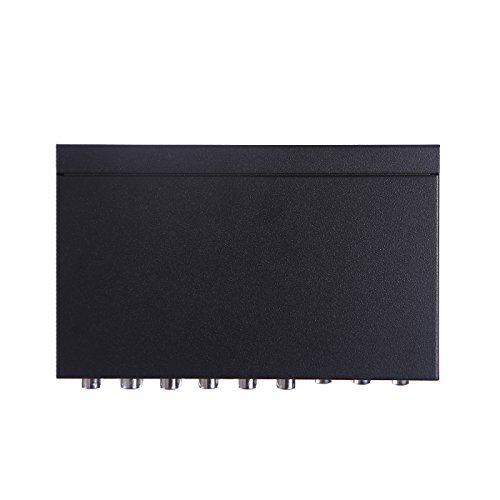 Ideal for any family, hotel, singing hall, shopping mall, school, business presentations, multi-media education, marketing video show, finance displays, etc. 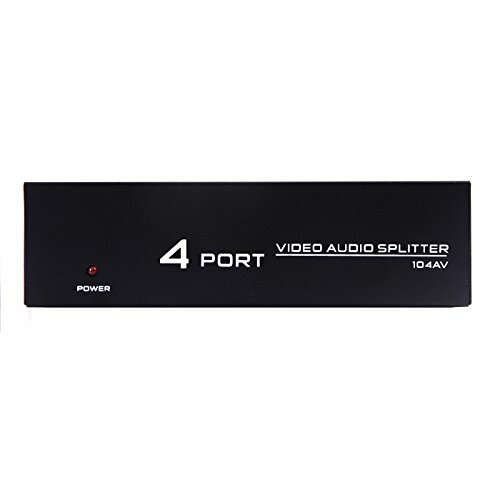 The HDE 4 Port RCA Audio Composite Video Splitter Box distributes input AV signals to 4 outputs. 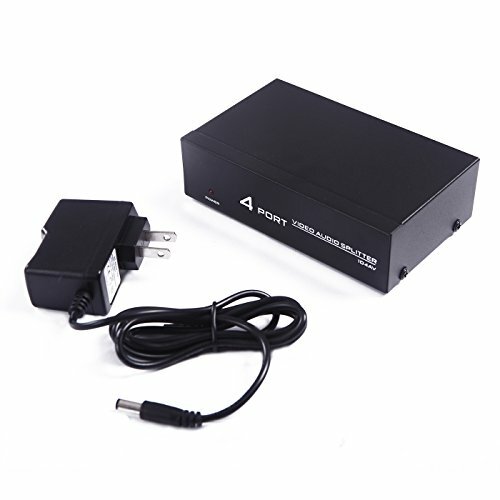 You can connect your Wii, Xbox, Cable box to your TV without having to worry about not having enough RCA jacks on your TV. Input level Resistance: VS 0.8-1.0Vp-p/75? 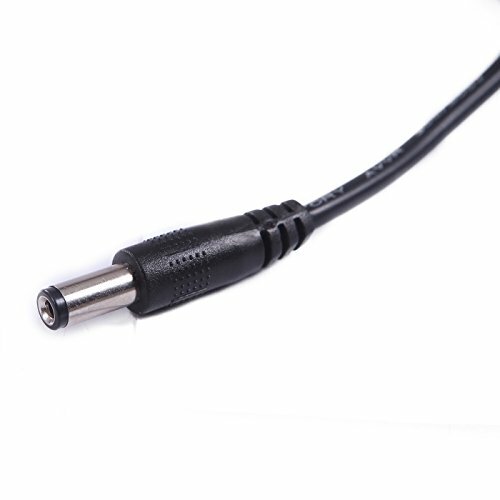 Output level Resistance: VS 0.8-1.0Vp-p/75?